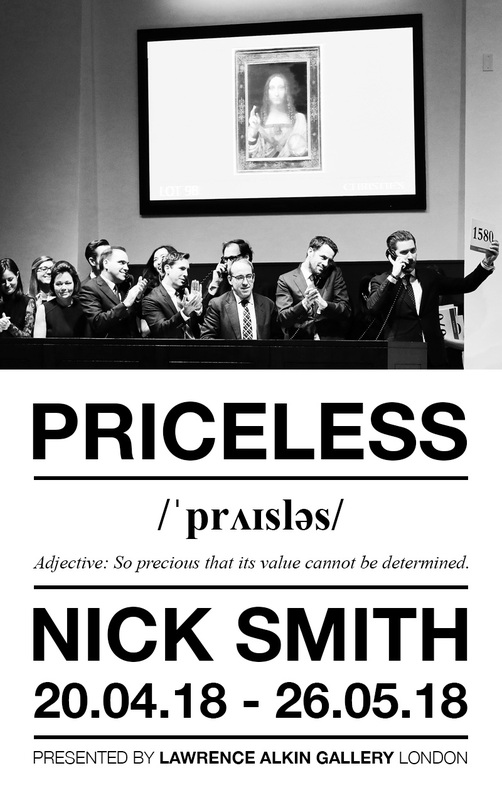 This coming April, Smith returns for his fourth show at Lawrence Alkin Gallery, with a new body of work titled Priceless. Smith builds upon last year’s world record breaking $450,000,000 sale of Da Vinci’s Salvator Mundi at Christie’s, as the catalyst to explore the world of high-end art auction results and the wider topic of the commercial value of art. Please register your interest by hitting subscribe to ensure you're the first to receive the sales catalogue. Private view invitations, along with further information, will be released closer to the time.